Chamaeleons Greenos | Amsterdam, baby! Been a while since last post,but here is my newest piece: “Chamaeleons Greenos”. Hope you enjoy, and thanks for stopping by! 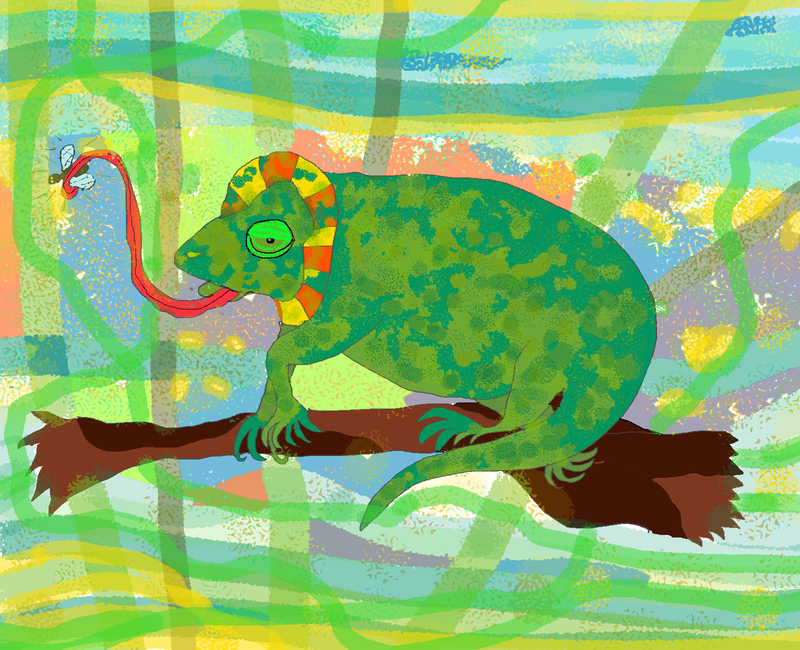 This entry was posted in Art, cartoon, chamelon, illustration and tagged Amsterdam, animals, art, Cartoon, chamelon, colorful, illustration by maypaj. Bookmark the permalink. Good to see you back on board MayPaj. Your drawings are full of colour and joy – the world needs such qualities. Was it university studies that kept you away – it was for me I graduate this year. my blog is kevlee88. You’ve inspired me to post a story this month . . . thank you.